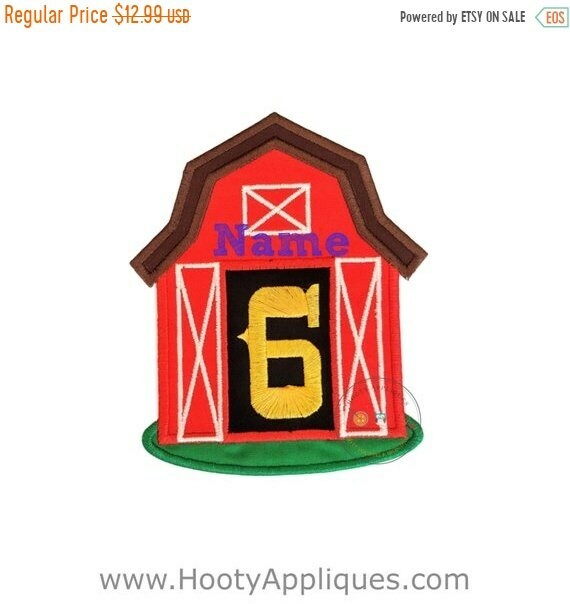 Birthday barn with large, yellow number 6 (six) inside open barn doors which are detailed in white. 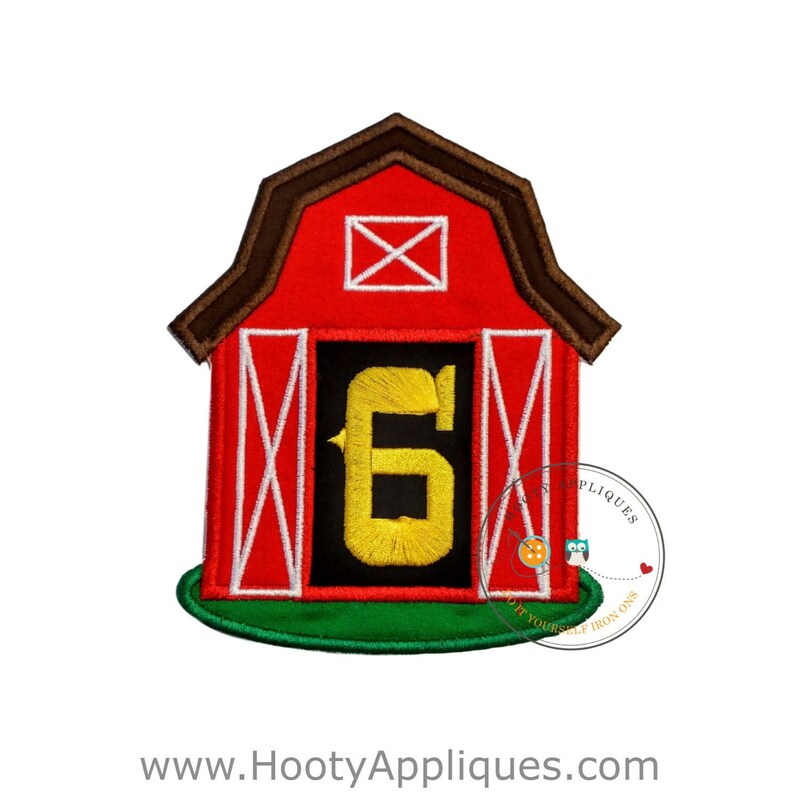 The brown roof and green grass accent the big, red barn and makes this farmer's barn a great addition to other farm appliques or by itself, a great easy-to-do iron-on patch. 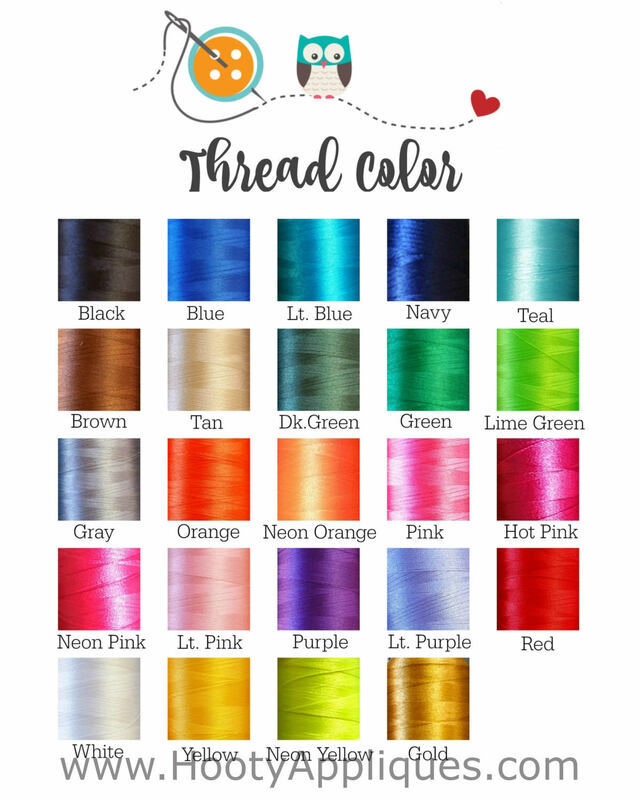 This applique is a perfect addition to any t-shirt, jean jacket, back pack, or blanket. The patch is for either a girl or a boy. 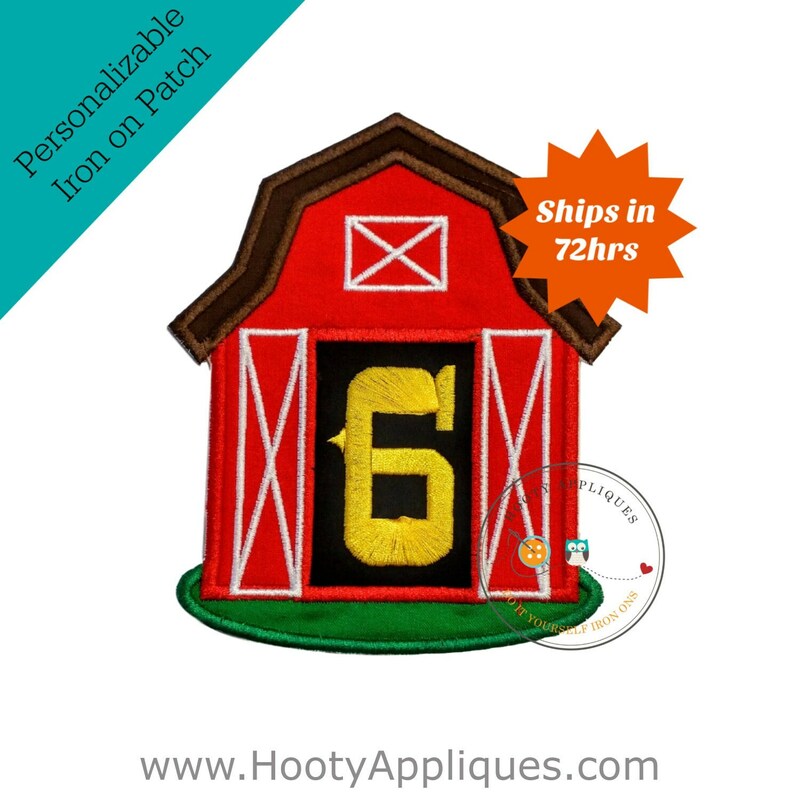 ►	This iron on patch measures 5 inches wide by 5 inches tall.